Size, mm: 145 (height) х 120 (bowl diameter), base diameter is 55 mm. 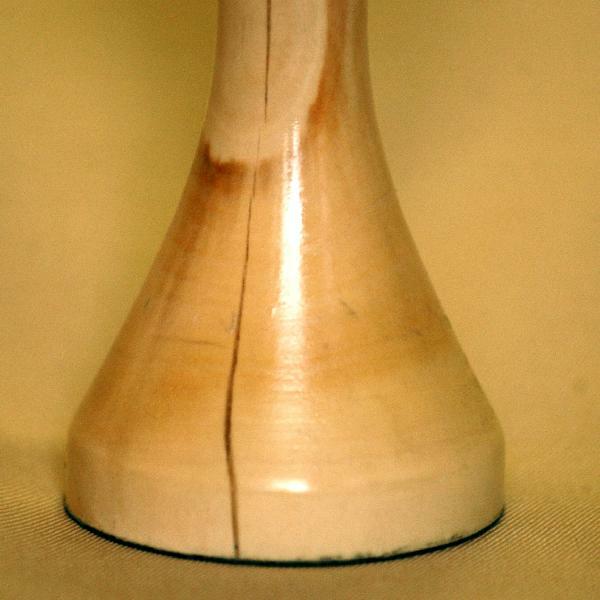 A vase with a stable wooden base and a 12 cm glass bowl. The natural cracks in the wood are filled with jewelry resin to increase durability and underline the handiwork. Can be used to serve salads, pickles, entrees. Looks great on any table and makes a great birthday or housewarming gift. &apos;Festive&apos; vases of other sizes can be found at: 05032,05034.